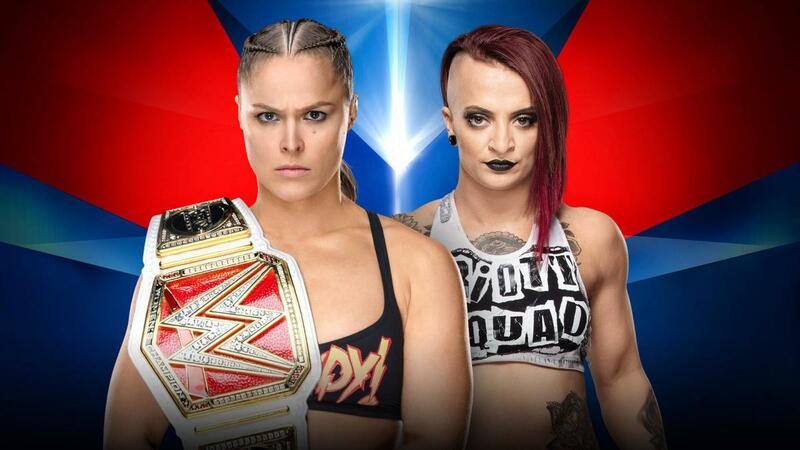 Ronda Rousey's next title defense will officially be against Ruby Riott. WWE has announced that Rousey will defend her Raw Women's Championship against Riott at this month's Elimination Chamber pay-per-view. The event is taking place at the Toyota Center in Houston, Texas on February 17. Rousey vs. Riott was set up for Elimination Chamber on this week's episode of Raw. Rousey defeated Riott Squad members Liv Morgan and Sarah Logan in back-to-back singles matches. Riott got on the apron after the second match, but she backed off and went backstage with Morgan and Logan. Riott then did an interview saying she didn't run away from Rousey -- Morgan and Logan needed her. Riott said that when she defeats Rousey, the Raw Women's title will be on the line. Morgan & Logan will be one of the six teams in the Women's Tag Team Championship Elimination Chamber match at the PPV.